Gained recognition through appearing on the E! reality TV series Keeping Up with the Kardashians. She has worked as a brand ambassador for Seventeen magazine. She was a cheerleader for Sierra Canyon School, and her first modeling job was for a Sears clothing campaign titled Crush Your Style. She worked as a runway model for Forever 21's Hello Kitty line. In August 2017, E! 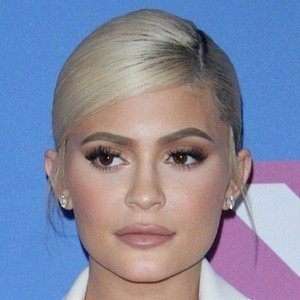 began airing a TV series called Life of Kylie which features Kylie's professional and personal life. She was born to Kris and Caitlyn Jenner when Caitlyn was known as Bruce Jenner. Her sister is Kendall Jenner, her half-sisters are Khloe, Kourtney and Kim Kardashian and her half-brothers are Brandon Jenner, Brody Jenner and Rob Kardashian. She was in an on again, off again relationship with rapper Tyga from 2014 to 2017. She began dating Travis Scott in April 2017. In February 2018, she gave birth to her first child, a daughter named Stormi. She appeared in the music video for Jaden Smith's song "Blue Ocean" in 2014.